The Falklands are an archipelago in the South Atlantic off the coast of Argentina's southern Patagonia region. That nation fought and lost a war with England in the 1980s over this sparsely populated assemblage of nearly 800 islands that seem to have been discovered, or at least located accurately on the map, by Sebald de Weert of Holland at the beginning of the seventeenth century. 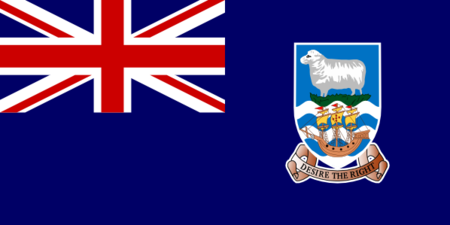 The three or so thousand inhabitants remain British subjects; most are concentrated on the descriptively named East Falkland and West Falkland Islands. The livelihood of the majority of the inhabitants is based on the 500,000 sheep, an average of more than 100 per person, that roam the island, though some Falklanders cater to the tourists who come to see the remote, dramatic landscapes or engage in fishing. The Falklands are home to incredible wildlife, in particular penguins and seals. Visitors will enjoy a pristine landscape under a crystal blue sky with beautiful beaches of pure white sand. 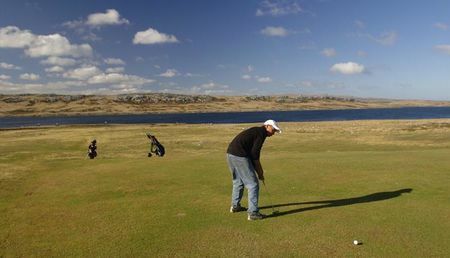 Among the attractions is golf, for a course has been built in and named for the capital on West Falkland Island. Those who have played the 18 holes at Stanley Golf Club can rightfully claim to have experienced golf at one of its most southerly outreaches.